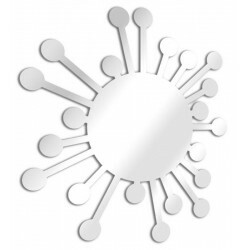 DESIGN MIRRORS by TendanceMiroir®. 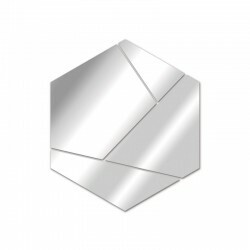 Here you can find designer mirrors inspired by artistical, geometrical or abstract shapes, perfectly blending with classical, modern or contemporary surroundings. 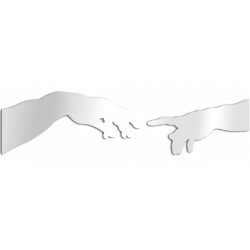 Design & Made In France by Tendance Miroir®, create the deco that reflects you! 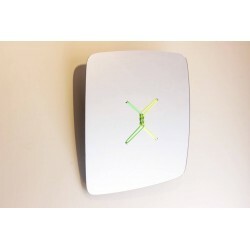 Design Mirrors There are 35 products. 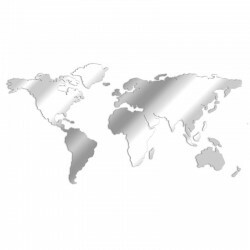 Give a modern touch to your interior decoration with this mirror design map of the World in acrylic. 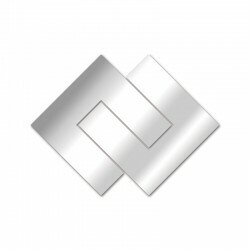 Do you like traveling and mirror decoration? Bring the world into your living room with this planisphere mirror! 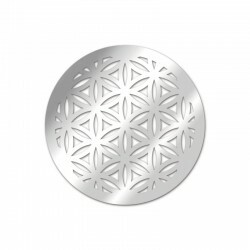 For an interior all in harmony, make the choice of the mirror flower of life that will bring you luck, happiness, love and prosperity. 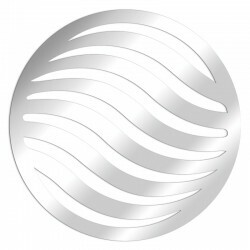 Change the classic round mirror, oval or "wave" effect. 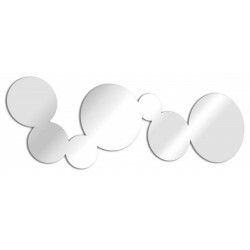 Dare the elongated bubble design mirror! 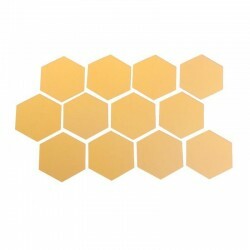 A hexagonal mirror that lets you express your creativity and imagination overwhelmed! A graphic mirror for a playful, offbeat and timeless decoration. 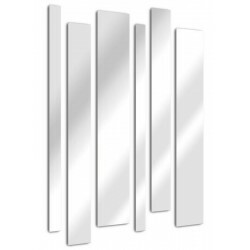 Rectangular and contemporary, this design mirror will brighten your decor. 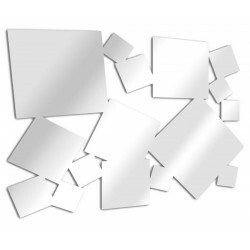 The blades of the mirror are independent, arrange them as you wish to express your creativity! 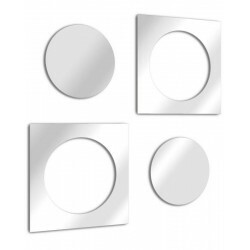 You can add several design mirrors straight blades to express your creativity on a wall! 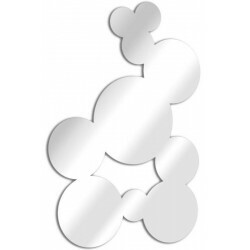 Bring harmony to your home decor with this mirror with simple shapes, geometric and modern. An ideal mirror for the pleasure of offering! Want to change? 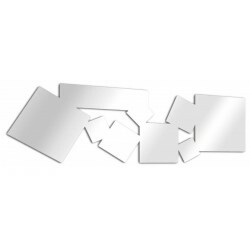 Dare a touch of originality with our square design mirrors elongated. 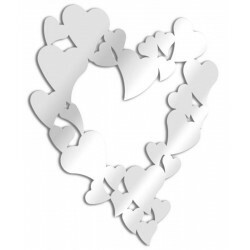 A beautiful designer mirror for a touch of love! The mirror optical design illusion is directly inspired by the work of Victor VASARELY is an original mirror and design that will perfectly decorate your interior by bringing a trendy touch, artistic and design! 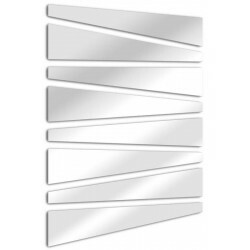 Contemporary design, this design mirror will brighten your decor. 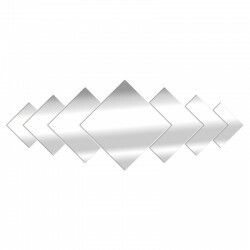 The 8 blades of the mirror are independent, arrange them as you wish to express your creativity! 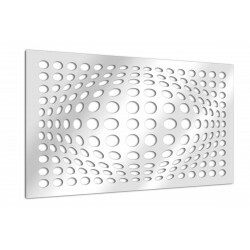 Illuminate your interior decoration with this design mirror representing a sun with its generous and rounded spokes. 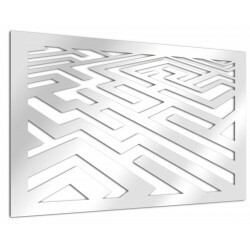 Give an artistic and contemporary touch with this beautiful labyrinth-shaped design mirror in perspective. 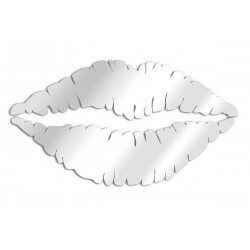 The design mirror kiss lipstick is a true designer mirror adding a very glamorous touch to your interior. 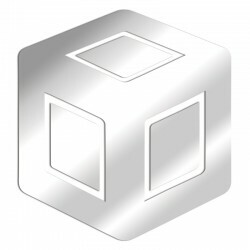 This 3D cube design mirror will rejuvenate your interior design for a trendy and avant-garde look. 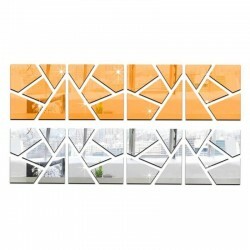 A unique and original mirror decoration to create the interior decor that suits you. Looking for an artistic gift for your loved ones? Discover our selection of modern and bold design mirrors for a futuristic interior design. 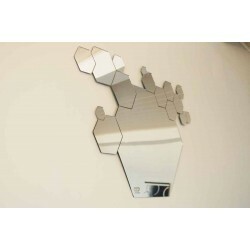 This interlocking diamond design mirror will rejuvenate your home décor for a trendy and avant-garde look. A unique and original mirror decoration to create the interior decor that suits you. Looking for an artistic gift for your loved ones? Discover our selection of modern and bold design mirrors for a futuristic interior design. 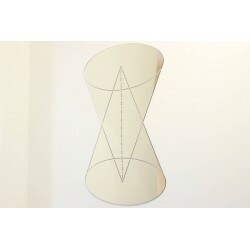 This Vortex design mirror will rejuvenate your interior design for a trendy and avant-garde look. A unique and original mirror decoration to create the interior decor that suits you. Looking for an artistic gift for your loved ones? Discover our selection of modern and bold design mirrors for a futuristic interior design. 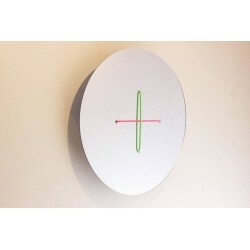 This Planet design mirror will rejuvenate your interior design for a trendy and avant-garde look. 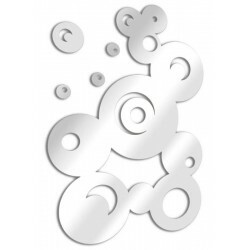 A unique and original mirror decoration to create the interior decor that suits you. Looking for an artistic gift for your loved ones? Discover our selection of modern and bold design mirrors for a futuristic interior design. 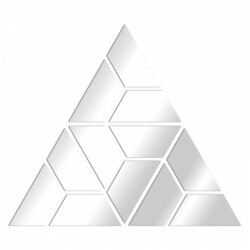 This Pyramid Prism Design Mirror will rejuvenate your home décor for a trendy and avant-garde look. A unique and original mirror decoration to create the interior decor that suits you. Looking for an artistic gift for your loved ones? Discover our selection of modern and bold design mirrors for a futuristic interior design. 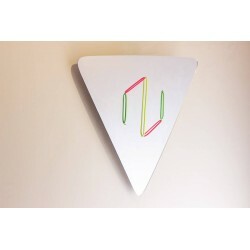 This triangular design mirror will rejuvenate your interior design for a trendy and avant-garde look. A unique and original mirror decoration to create the interior decor that suits you. Looking for an artistic gift for your loved ones? Discover our selection of modern and bold design mirrors for a futuristic interior design. 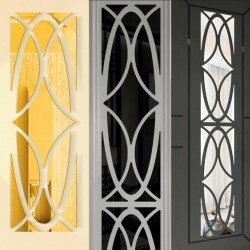 Give an artistic and contemporary touch with this magnificent medieval window decorative mirror. 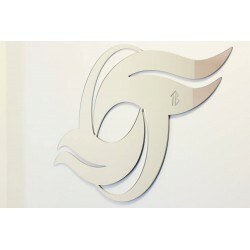 Symbol of victory and liberation, clearance, franking, the wings of angels will bring lightness and grace to your interior while adding a unique decorative touch. 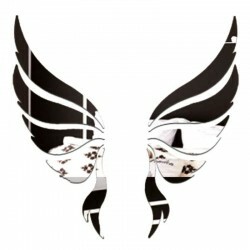 This 3D Wings of Angels mirror will create a warm and original atmosphere to create the decoration that reflects you.